On qTrace, get is give. It’s so true on Facebook as well, what you give is what you get. But, on qTrace, it must be more true to say what we get is what we give. Huh, sound contrasted? 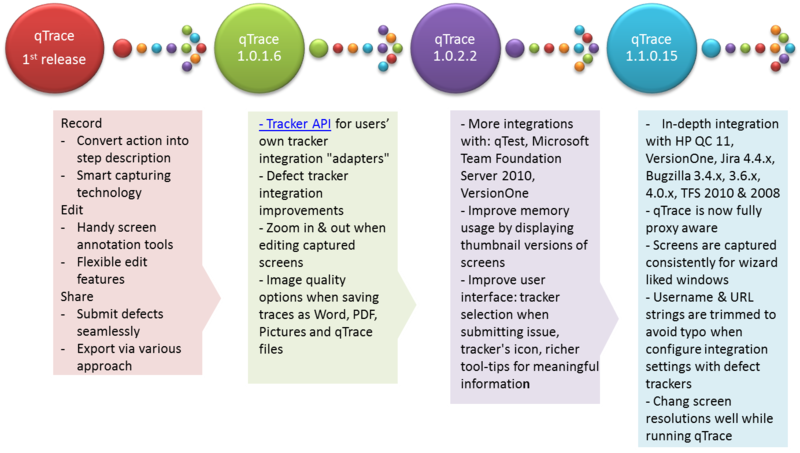 From day 1 of release qTrace, we insist striving to improve qTrace friendlier to user in reality. It leads to the fact that we get feedback from user community, then plan, then transfer it into features of next qTrace releases instead of only creating new features from our own perspective. Get a glance on it, look through the picture below to see how qTrace love your feedback.